Brian Michael Moore is a tenor from Cincinnati, Ohio. He completed his bachelor of music and master of music degrees at the Manhattan School of Music, where he studied with Mark Oswald. 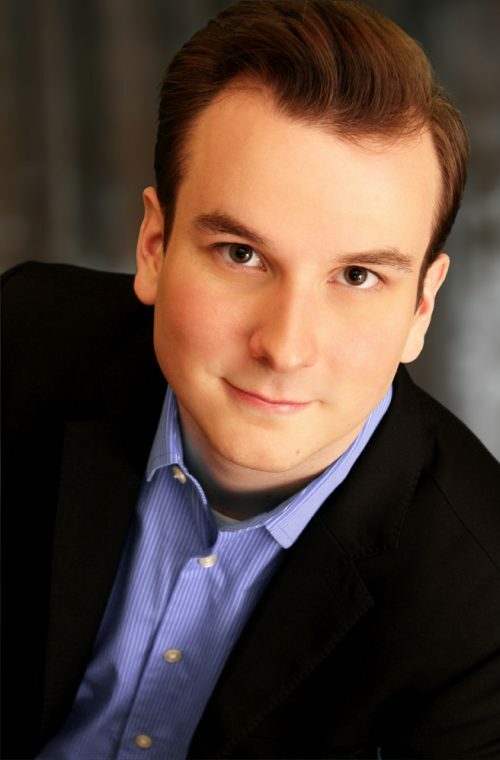 He has been a soloist with both the Cincinnati Symphony Orchestra and the Cincinnati Pops! Orchestra. He was a finalist of the 2014 Eastern Region Metropolitan Opera National Council Auditions and first place winner of the 2014 Classical Singer Competition. In the summer of 2015, he performed the Duke of Mantua in Rigoletto at both Asheville Lyric Opera and Brevard Music Festival. In the summer of 2016, he participated at the Merola Opera Program of San Francisco Opera, performing in Conrad Susa’s Transformations. He has also appeared as the Shepherd in Stravinsky’s Oedipus Rex at Cincinnati May Festival under the baton of James Conlon, as Don Ottavio in Don Giovanni with New York Opera Exchange and as the Animal Tamer in Der Rosenkavalier at Cincinnati Opera. In the summer of 2017 he had two important engagements: Don Ottavio in Don Giovanni conducted by James Conlon at Festival dei Due Mondi di Spoleto (Italy) and Luke Bedford’s Seven Angels at Aspen Music Festival with Yves Abel as conductor. Recently he had his company debut with LA Philarmonic Orchestra in a concert version of Die Zauberflöte conducted by Gustavo Dudamel. At the moment he is member of the Young Artists Program at Los Angeles Opera, where he sang Salome (Jude), Tosca (Spoletta) and Carmen (Remendado) under the baton of James Conlon; at the LA Opera he sang also the role of Nathanael in Les Contes d’Hoffmann conducted by Placido Domingo. In December 2017 he will be Don Ottavio in Don Giovanni at Teatro Coccia di Novara, with “Luigi Cherubini” Young Orchestra conducted by Matteo Beltrami.